Outdoor grills are convenient for picnics and barbecues. They are frequently used for entertaining purposes and provide another option in preparing meals. 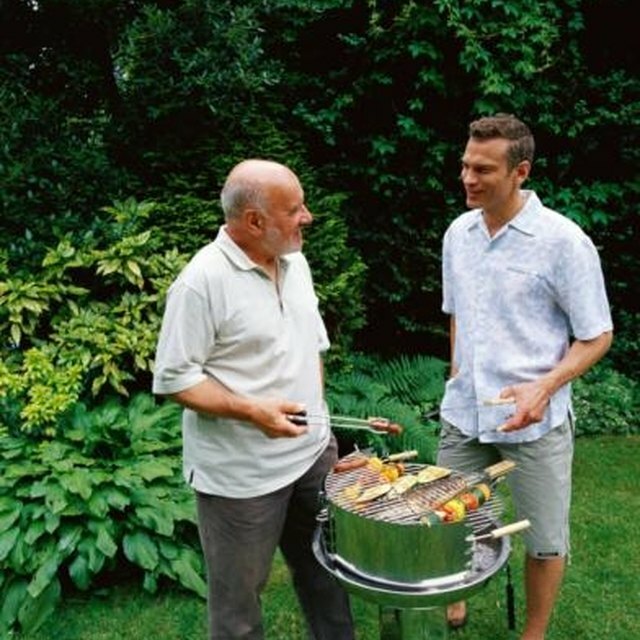 One concern regarding outdoor grills involves how to keep them secure. Grills are often expensive and can be easily stolen or damaged if you aren't careful. Fortunately, securing an outdoor grill just requires a little bit of planning and preparation. Securing an outdoor grill is usually a simple process. Store the grill indoors when it it is not in use, if possible. The garage or the basement are good places for grill storage to help prevent the grill from being stolen. Secure the grill to a heavy fixture using a steel security cable and a padlock. While the cable can be potentially cut, this measure will help deter thieves looking for an easier target. Keep the grill well-lit at night and close to the house. Thieves and vandals would rather operate in dark conditions to limit the danger of being seen. Lighting and close proximity to the home make your outdoor grill a less attractive target. Remove the fuel source when the grill is not in use if it uses gas. Fuel is sometimes a theft target by itself, and keeping the fuel tanks off of the grill when it is not used makes the grill itself less of a target. Install a fence in your yard that can function as an additional barrier between your grill and thieves. Can Roaches Infest My Grill?